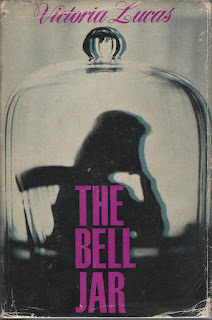 Fifty-five years after its first publication, Sylvia Plath's The Bell Jar has received a serious, respectful, and authoritative consideration in the form of Sylvia Plath: Inside The Bell Jar which features the first video interview by Frieda Hughes on her mother. And my, was she and it insightful, humble, humorous: just spectacular. The on camera reminiscences by Plath's friends: Janet Salter Rosenberg, Elinor Friedman Klein, Betsy Powley Wallingford, Laurie Glaser, Neva Nelson Sachar, Phil McCurdy, Perry Norton, and Melvin Woody were superb. Some of these friends appeared on camera, as well, for the first time ever. They offer authentic, personable, and emotional memories of their friend Sylvia Plath and what life was like in the 1950s and early 1960s. These were connected with commentary by Heather Clark, Karen V. Kukil, and Tristine Skyler. Inside The Bell Jar was sensitivity produced. It has left me in tears (particularly Phil McCurdy and Betsy Wallingford at the end) both times I have seen it in the last 24 hours. There is very little criticize; however, there is one thing worthy mentioning in case it can be corrected. The excerpts of the letters read in the program were inconsistently identified. 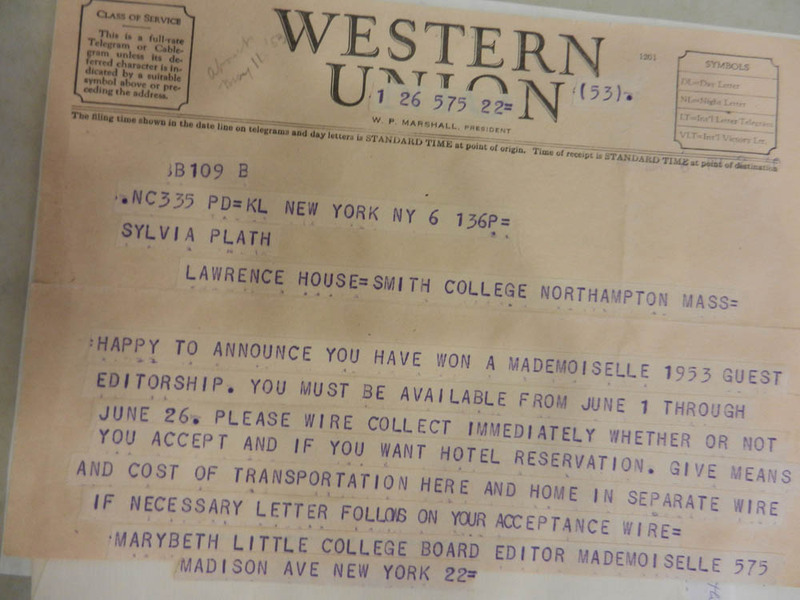 The one to Ann Davidow-Goodman was fully dated; the one to Aurelia Schober Plath, incompletely dated; and the letter to Eddie Cohen not dated at all. 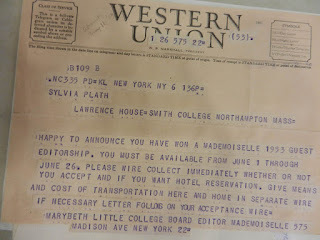 It was nice they showed Neva Sachar's telegram from Mademoiselle, but I wonder why they did not show Plath's? Plath's pseudonym, Victoria Lucas, was not mentioned at all; neither was an image of the first edition shown. These could have been mentioned during the segment when the reviews of the novel were discussed. Quite minor quibbles in an otherwise fine production. Highest accolades to Yeti Media for the work done for this BBC Two documentary. The director, Teresa Griffiths and her crew of executive producers (Siân Price and Angus McQueen) and producers (Tim Kendall and Clive Flowers), consultant (Heather Clark), and all others deserve our praise for their work. Declan Smith provided archival research and he worked with me and a number of others in obtaining video, photograph and other material in the program. It was an honor to participate behind the scenes and particularly neat to recognize the pieces that either I supplied directly or with which I provided assistance in obtaining and am sincerely thankful to be listed in the credits. for the 50th anniversary of the class of 1950. All links accessed 13 August 2018. When and where can those of us in the US see it? Hello. I'm the "Laurie Glaser" in the film. Just for the record, my maiden name was Glazer(not Glaser) and I am a writer in Chicago known as Laurie Levy; my new novel is "The Stendhal Summer"-- which I wish they'd mentioned (!) -- but I thought the film was simply marvelous, and Teresa's direction was magnificent.